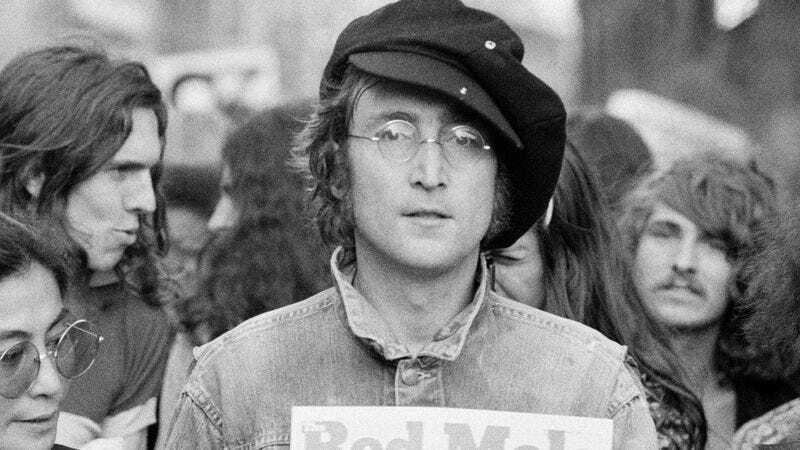 On October 9 of this year, legendary musician and peace-lover John Lennon would have turned 75 years old. To appropriately honor his memory, this year Yoko Ono took a shot at organizing the largest human peace sign ever, which ultimately fell short of a Guinness World Record but likely was a heartfelt tableau of love, tie-dye, and round glasses nonetheless. Now Deadline reports the 75th birthday festivities are far from over: AMC will air Imagine: John Lennon 75th Birthday Concert, a one-night-only event to be taped December 5 at New York’s Theater at Madison Square Garden. Among the artists performing are Willie Nelson, Steven Tyler, Brandon Flowers, Peter Frampton, The Roots, and Sheryl Crow. Tickets to the event itself will go on sale Tuesday, but if you want to watch the peace and love from the comfort of your peaceful and loving couch, the special will appear on AMC December 19.